BX Rink memberlakukan penyesuaian harga per 1 Desember 2018, HTM Rp. 95.000 (Senin – Jumat) & Rp. 120.000 (Sabtu & Minggu). BX Rink memberlakukan tarif Liburan Sekolah mulai tanggal 8 Desember 2018 – 6 Januari 2019, HTM Rp. 135.000/tiket (2 jam bermain). BX Rink berhak mengubah harga dan jam operasional tanpa pemberitahuan sebelumnya. Pada hari-hari tertentu jam buka dan jam tutup dapat berbeda dikarenakan adanya Lesson Group dan penyewaan Ice Rink oleh pihak ketiga. A perfect combination of art and sport on ice. On a competition, skater will skate with music as background, do spins, jumps, lots of amazing gliding moves on the slippery ice. Ice Hockey is a team sport played on ice in which skaters use sticks to shoot a hard rubber hockey puck into their opponent’s net to score points. This is a fast-paced sport, skaters race against each other to the finishing line, jockeying for the position while also maintaining speed and balance. Indonesia’s biggest (1,320 m2) and finest ice skating rink, offers an unparalleled on ice Xperience. 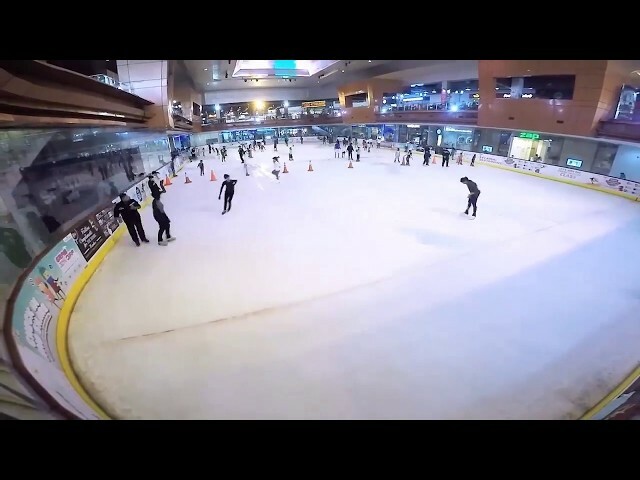 Located on UG level in Bintaro Xchange Mall, BX Rink hosts spectaculer ice shows, events, and international tournaments in ice hockey, figure skating, and short track speed skating. Gain confidence on the ice with skating aids available for kids, and introductory lessons offered for beginners. Enjoy Xhilarating tunes and flashing disco lights with our newest and sophisticated sound and lighting system. Don’t miss this Xhilarating activites and Xplore on ice.